Update, 3:44 p.m.: The Ada County Coroner's Office says the Kuna man who died after shooting a Boise police officer late Tuesday night killed himself. Officials say Alan Amundson died of a self-inflicted gunshot wound. In the announcement, the coroner's office also corrected Amnundson's age to show he was 53-years-old. A previous release said he was 52. Update, 12:30 p.m.: The Ada County Coroner's Office has identified the deceased as 52-year-old Alan Amundson of Kuna. He died at the scene. An autopsy is scheduled for Wednesday afternoon. Original post: Boise Police say an officer is recovering after being shot in his ballistic vest during a shootout with a suspect who died at the scene. Police say they were responding to a 911 call shortly after 11:30 p.m. near Bridlewood Circle and North Glenwood Street in the city when officers were fired upon by a male suspect standing outside of his residence. Police say they returned fire. The suspect was injured and later died. Police say it's not clear if the officer's shots hit the suspect. The officer is being treated at a local hospital. Police say his injuries aren't life threatening. Police say they later rescued the injured victim from the original 911 call. That person is hospitalized with life-threatening injuries. At 11:42 p.m. Tuesday Boise Police received a report of a shooting near Bridlewood Circle and N. Glenwood Street. When officers arrived they were shot at by a male suspect standing outside of a residence and officers returned fire. One Boise Police Officer was struck in the chest and injured, he is being treated at a local hospital. He was wearing a ballistic vest and luckily his injuries are not life-threatening. The suspect was injured by gunfire and died at the scene. At this time, it's unclear if officer's shots hit the suspect. After confirming the suspect was no longer a threat, officers quickly reached and rescued the injured victim from the original 911 shooting call. The victim was taken to a local hospital and is being treated for life-threatening injuries. The shooting victim and the suspect were known to each other. The Ada County Sheriff’s Office is leading a CITF investigation. Victim witness coordinators are assisting the victim's family. Update - Wednesday, June 15 at 9:16 a.m.: Authorities say a southwest Idaho man shot and killed by police spent decades in prison before being released in February. 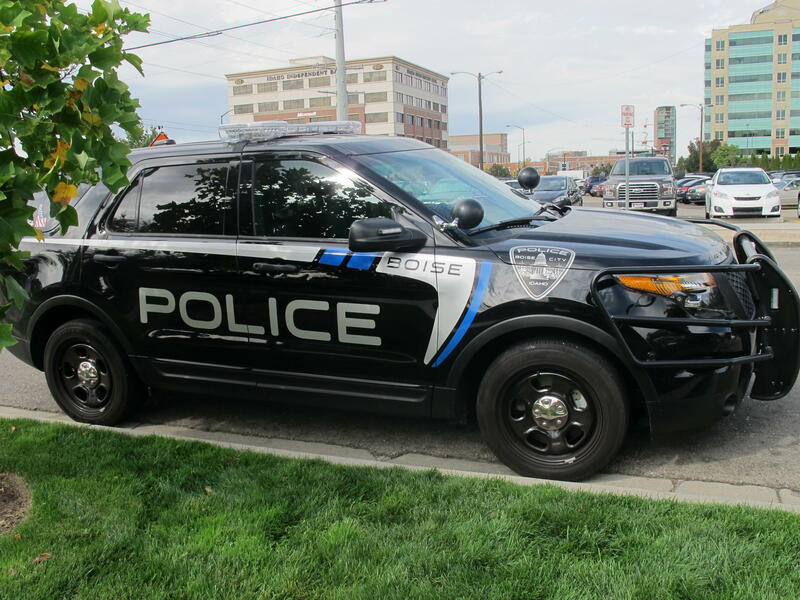 Fifty-year-old Noel Rodriguez of Caldwell died Tuesday when a Boise police officer opened fire after authorities say Rodriguez rammed police vehicles with his vehicle. Rodriguez was sentenced in 1992 to life in prison following the beating death of a 29-year-old woman in Wilder. Boise Police have joined other departments around the country to equip officers with body cameras. As of this week, 30 police officers have begun wearing cameras while on patrol. It’s the first group to receive the cameras, and it will take a year for the rest of the 250 cameras to be distributed. Boise Police are trying to crack a murder case that’s 39 years old. Despite the passing of time, they’re hoping for new leads in a Cold Case that happened back in 1977. The Crime: It was April 20, 1977. Oney Leiby, 62, was a night watchman at Thriftway Lumber in Boise. He was murdered in the middle of the night while on duty, leaving behind a wife and two grown sons.